Karina Kissick prefers a balanced approach: "I just show people it doesn't take extremes to reach their goals." Fitness is a lifestyle. And no, you don't need to exchange your entire wardrobe for yoga pants nor convert each meal into 24 fluid ounces of protein. The lifestyle is about finding what works for you, Karina Kissick says. 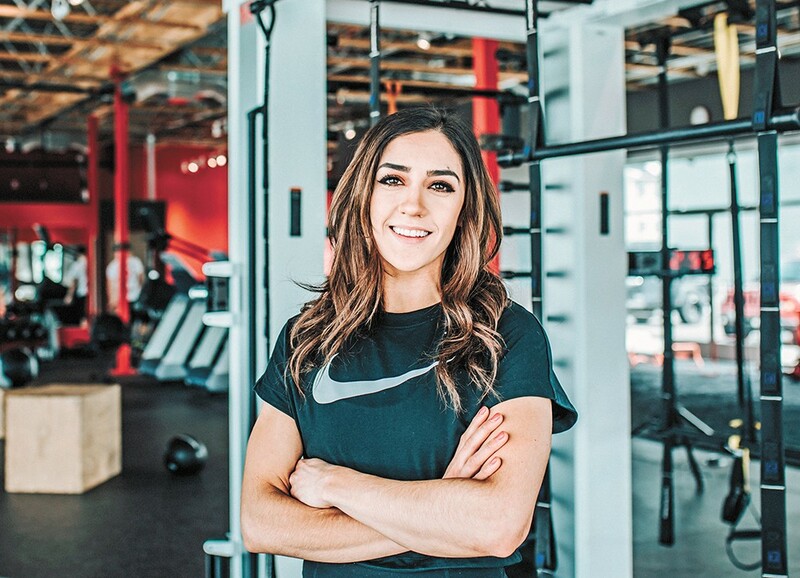 Kissick, 24, is an independent personal trainer who runs her business out of Specialty Training Inc. in Spokane Valley. "I help people learn a balance to health and fitness," she says. "Everyone has a different lifestyle, so I help them find a routine that works for them." Her training, which includes one-on-one and group classes, focuses on lifting and circuit training, she says. If you don't think that's your thing, it's OK. Her training is about "helping people learn," she says. Especially women. Growing up, she says she had struggles with her body image and fitness, "like most women." But starting about eight years ago, she channeled her frustration into a passion for fitness and staying active. With women, Kissick says she tries to focus on activating or reactivating their core. "That will translate to all your other areas. It's really important for women to have properly functioning core units. If it's not functioning properly, you can do more to manage your core. ... People tend to think [for] stronger cores they need to do situps and crunches, but it's a lot deeper than that. It involves your pelvic floor and your diaphragm." You can find some examples of her workout routines, plus some healthy recipes, on her Instagram page, @karina.kissick. "I believe there are many misconceptions about health and fitness. I just show people it doesn't take extremes to reach their goals," she says. "People assume they need to go on a crazy diet or routine to reach their goals. It really just takes a balance for each person. So people can still enjoy their favorite foods." The original print version of this article was headlined "Best Personal Trainer: KARINA KISSICK"